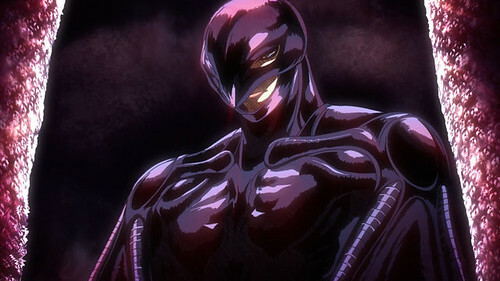 Suggested by iKnowledge Griffith is one of Guts’ biggest enemies and one of the stronger characters in the series. He isn’t quite deity level like some of the other villains, but his speed is close to that of Guts and he possesses more special abilities which aid him in a fight. 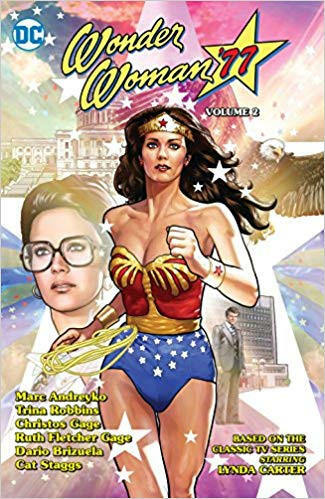 One such ability is telekinesis which is always handy and it will help him hinder Wonder Woman’s movements to a degree. Griffith will still have the edge in speed and while his attack power doesn’t seem quite as impressive as Guts’, it is at a very close level. Griffith wins. 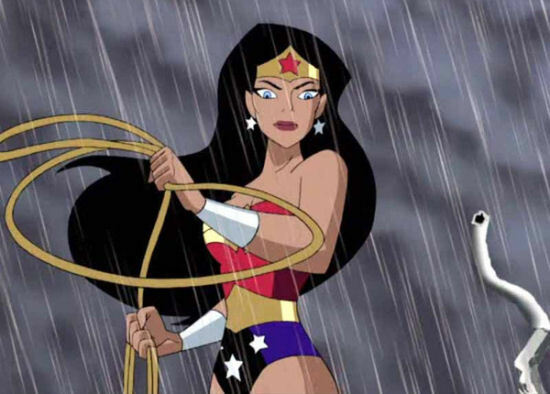 Suggested by iKnowledge Wonder Woman is back and now she is up against a future Keyblade Master! 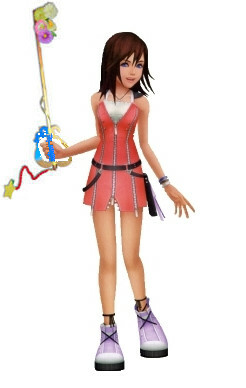 Kairi’s Keyblade skills will at least allow her to put up a fight, but she hasn’t had time to unlock most of its abilities. Kingdom Hearts III will likely help her case quite a bit, but in the mean time I definitely don’t think she would be able to keep up with Wonder Woman’s speed or her raw power. The difference in ability is simply too great. 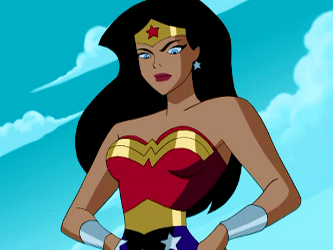 Wonder Woman wins. It’s time to look at one of the newest Lego films around! DC has had a pretty good track record with their Lego adventures and are certainly leading the pack. This is because their specials actually have some pretty solid action scenes to go along with the good one liners. 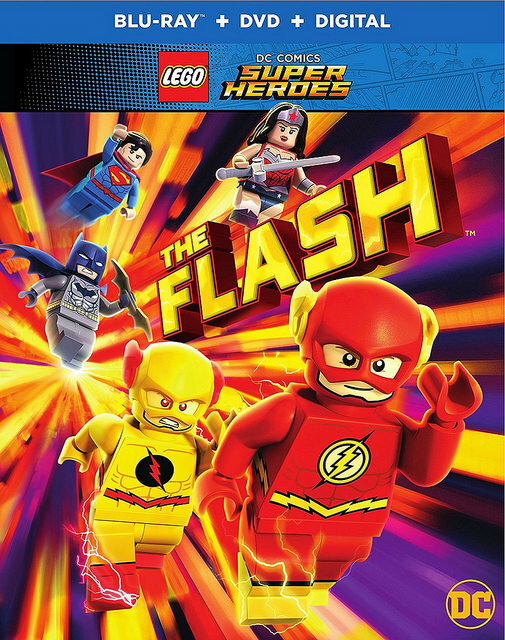 I dare say that DC has taken Legos to the peak of where they can reach and this one continues their roll. It still has some competition ahead of it for being the best DC specials, but I would put this one up there as probably top 3. Flash makes for a great main character and always makes the right moves. The story starts with the Justice League trying to fend off an attack from the Joker. Unfortunately for them they are getting creamed. Flash should have been there to help, but he was busy enjoying a donut with a milkshake. Truly that is an underrated combo if you ask me. Still, he manages to save the day anyway, but then a mysterious being known as the Reverse Flash shows up. Flash chases him, but finds himself back to the start of the day. This keeps on happening and it seems like Flash is stuck in a time loop. In order to get out he will have to move even faster, but what if doing this ends up wrecking reality itself!? Only one way to find out! I’m always up for a good time travel story. Nowadays this usually goes hand in hand with the Flash and his story arcs. Flashpoint is probably the most well known Flash event of all time and then the TV show also likes to casually mess around with the past and the future. It makes for good story arcs that open up a lot of moral questions like should you change the past or simply ignore it. Typically they go for the worst possible moral though and that is that the past shouldn’t be altered. Fortunately, it’s safe to say that this special doesn’t really go there at all. The trope can be especially annoying when the villain changed the past first and the hero still isn’t able to go back and correct it. A bit off topic though so lets get back to the adventure. 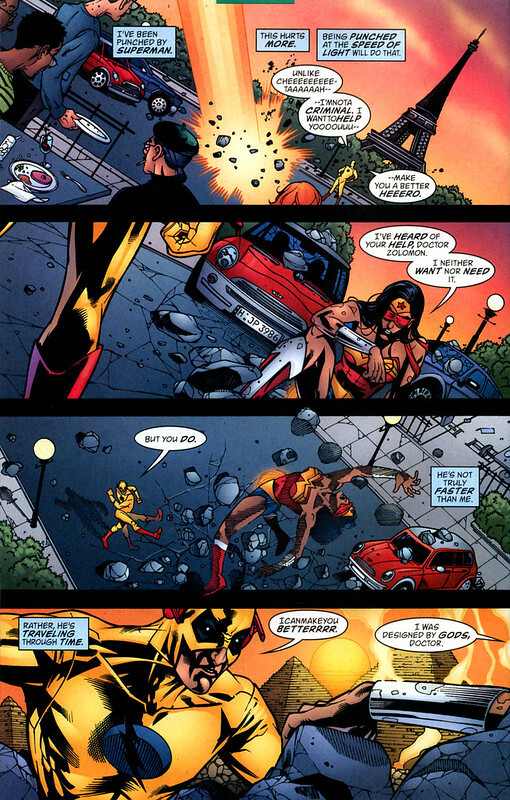 I do like how Flash handled the situation though. He kept on going after the Reverse Flash because he knew that one day he would surpass his limits. Even though Batman kept telling him to wait Flash would go anyway. The montage showed that he probably tries this at least 50 times. Imagine living through the same day that many times and not going crazy. Flash really kept it together and in the end he made the right move since Batman’s great advice was simply to say “Run faster.” That’s really the best advice that Batman’s got? Flash was able to do it of course, but after Batman’s constant “Wait” moments I was expecting something else. Still, Flash was easily the best character here and that’s not easy to do in a special where Batman and Superman are present. In the other plot we have Reverse Flash proving to the world that he is a better hero than the normal Flash. Instead of trying to join the League or anything like that he spends his time trying to prove that they aren’t needed anymore. With the speed at which he solves crimes it may even appear to be true. If he were a legitimate hero then he would have a mild point, but of course he would run out of energy at some point so the league would have to step in again. It’s fun how he makes everyone look pretty petty at times like when the League was caught eaves dropping on him. Batman saved the situation from being a tragedy, but it still was not their greatest moment. Ah well, they did their best. 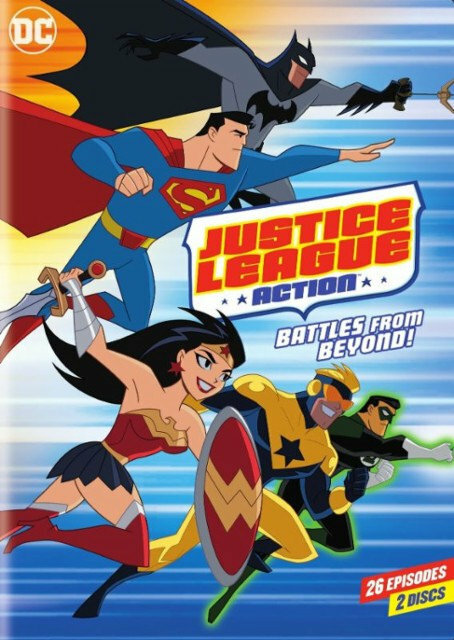 As far as the Justice League goes, they were all in character. 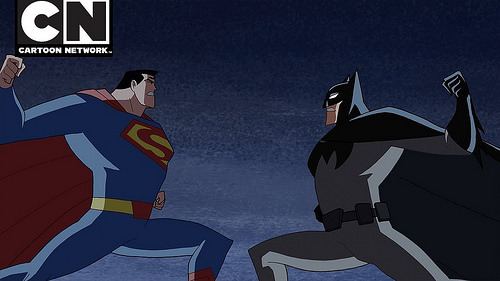 Batman and Superman were a great contrast to each other as you would expect. Superman was super cheerful and would try being nice to Flash while Batman would just give him the tough facts. Wonder Woman was more of a mediator and Cyborg was busy messing everything up like usual. Likewise with Plasticman but to a greater extent. The new member of the group who got a lot of screen time was the Atom. 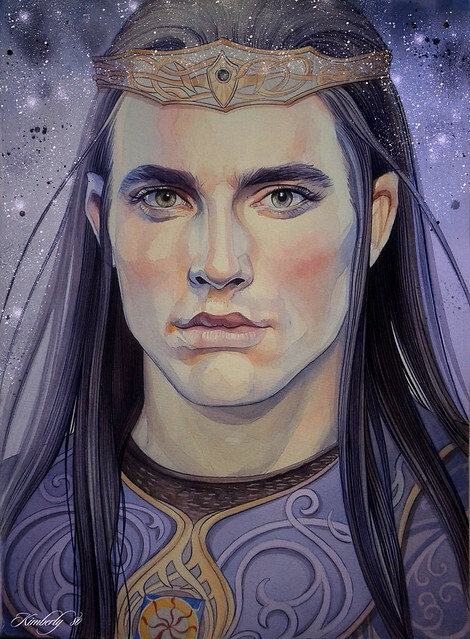 If they wanted him to look terrible than they succeeded. Considering that he is a new recruit the guy seems to have a considerable ego. He complains quite a lot and you have to repeatedly wonder how he actually got on the team. The guy definitely doesn’t seem like he belongs, but I guess that’s just one of those mysteries that you have to think about for a little while. He gets a subplot of his own where he tries to contact the league while he’s tiny and it’s a treacherous journey for him. I’d like to say that it helped him get likable by the end but not really. At this rate the new recruits are all going to keep on losing out. I will say that the first half of the special does beat the latter though. I enjoyed the Groundhog shenanigans from the beginning as Flash kept trying to stop his evil doppelganger. His route to the trouble involving all of the food and villain arrests were fun as well. The movie accurately shows just how overpowered the Flash should be and since it’s part comedy they are actually able to pull this off instead of totally nerfing him. That’s not to say that the second half is bad, but Dr. Fate singalongs just don’t have the same appeal you know? It was definitely a radically different take on him, but at least it had personality. Dr. Fate usually doesn’t actually do much except get in everyone’s way. I do feel bad for Zatanna though since her training seems like it will take a very long time to actually get anywhere. There’s not much to say about the animation that hasn’t been said before. It’s Lego animation so it’s pretty much the same every time. I’m not a huge fan of it, but it looks well enough and at this point it’s pretty polished. The action scenes are still solid as I mentioned earlier and they did a good job with the speed animations. As far as I’m concerned, they put in the proper amount of effort there. There isn’t much of a noticeable soundtrack here so it’s a few steps behind some of the others, but the sound effects are good and what music we do get tends to be solid as well. The writing is on point which is always very important for a film like this one. The humor is actually good as opposed to just being obnoxious or annoying. Well, those two things are kind of the same I guess. Either way, the writing really understands the characters here. Cyborg and Atom are annoying, but it’s not necessarily the humor that makes them annoying, but the characters and I wouldn’t hold that against the writing since I’m pretty sure that it’s intentional. It may not be laugh out loud funny (Almost nothing is) but it works pretty well and the sarcastic wit from the heroes is part of the charm behind the Legos. Overall, The Flash is a solid movie and one that I would certainly recommend. Whether you are a fan of Lego adventures or comic book films this is one title that you don’t want to miss. It really pulls out all of the stops and each act of the film feels like a complete film. Honestly the first act alone could have worked as the whole movie and I would have been satisfied. It’s a long 70ish minutes, but not in a bad way. They manage to squeeze a lot of content in there so I’d say that it’s actually very fast paced. There really isn’t anything majorly negative to say about the film and that’s how you know that it’s quite solid. Suggested by Anonymous Zoom is definitely a tricky DC fighter when it comes to determining if he will win or not. He’s certainly not a powerhouse in the way that Superman or Wonder Woman are, but his speed makes any fight potentially winnable for him. 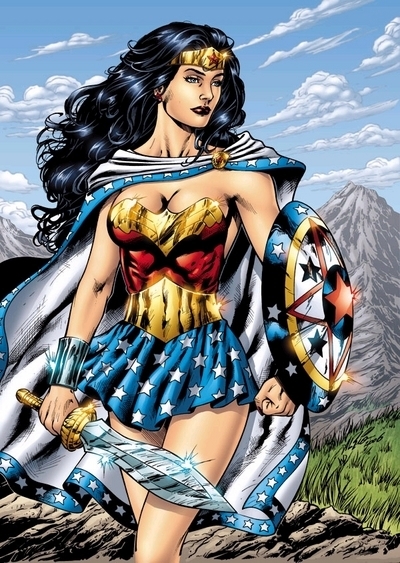 Wonder Woman has shown great moments of speed as well though and given that a single punch could deal a lot of damage I do think that she would have the edge in this fight. Eventually she would be able to land a solid blow and that would be enough. 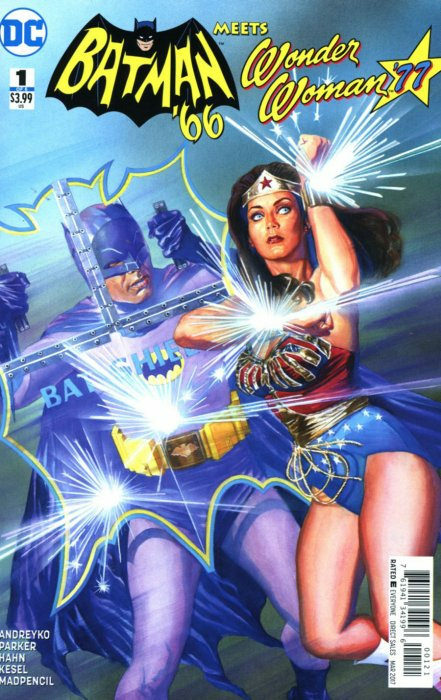 Still, it wouldn’t be an easy fight and Wonder Woman would have to take the blindfold off. Wonder Woman wins.